Last week, Ministry of Labor announced that December 2, 2012, Sunday, is holiday, NO Work due to the celebration of UAE National Day. 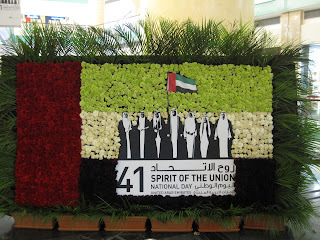 I am lucky that my boss also declared Saturday to be a non working holiday. 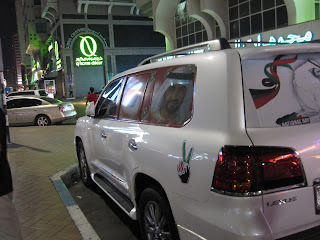 Last Friday, me and my husband went out to check how Abu Dhabi prepared for the Big Day. It was cloudy, and cold. The roads are wet. Maybe it rained during the night while we were sleeping. After going to church, we decided to have our lunch at a Filipino restaurant along Hamdan Street. 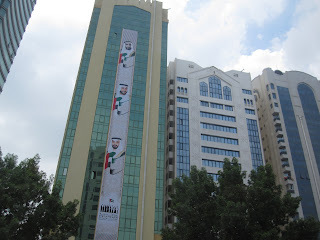 Along the way, I saw this building with a very long white tarpolin with the face of the Shiekh on it. 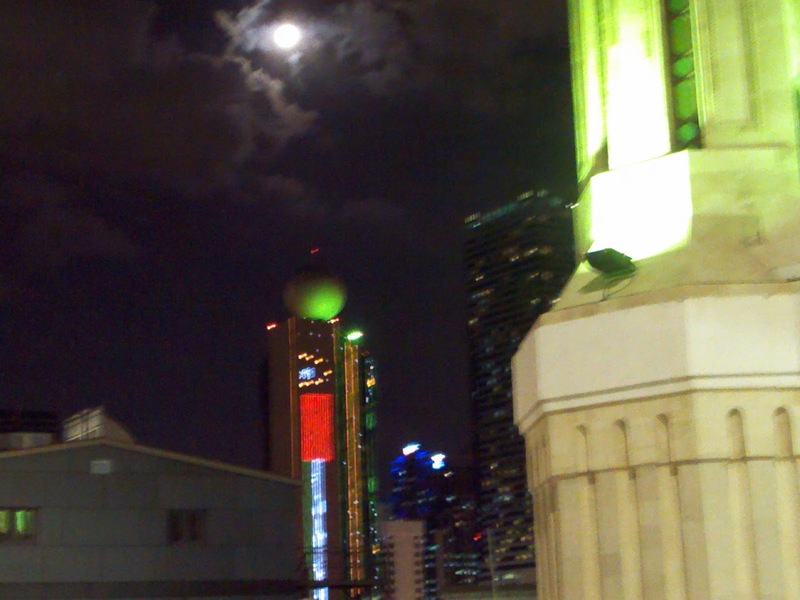 I had a nice shot while the coaster is running fast. This gave me the idea to take a few more pictures of other buildings having commemoration of UAE National Day. 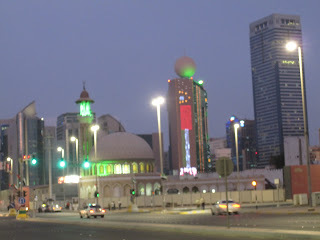 Here are some photos during daytime and beautiful building lights during the night seen while we were strolling around. After our lunch, we went to my office to have a quick chat with our kids. 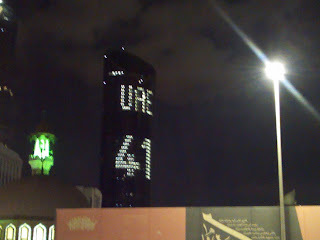 We finished around six in the evening then we decided to have mall hopping,no bus, no rides just walking, trying to loss weight. 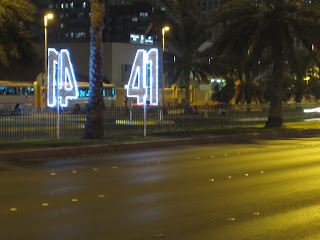 While we were in Madinat Zayed- Hamdan area, I noticed the streets having special # 41 light effects. 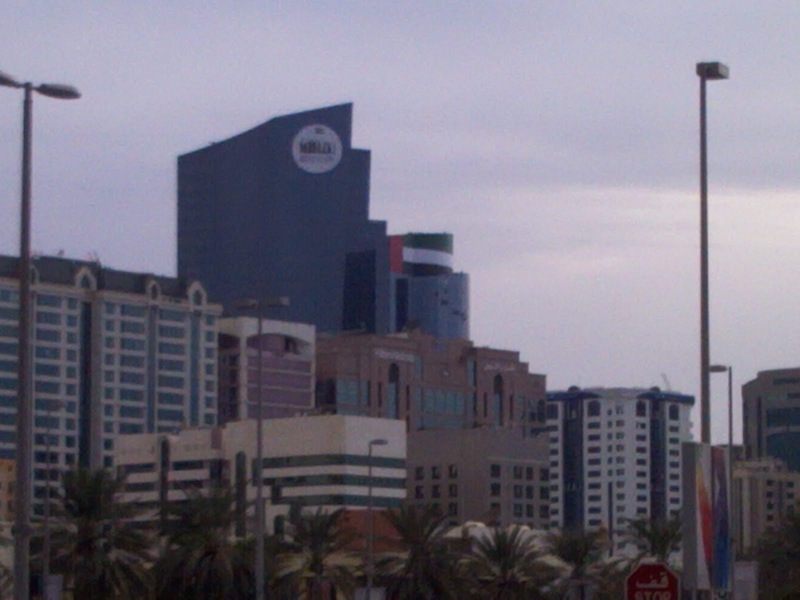 Traffic signals have hanging UAE Flags as well. Some cars were also decorated with UAE theme. I pulled colors from the clouds into both the sky and the ocean to harmonize the palette and to gray down the original sky.